Since its formation Red Note Ensemble has taken up a leadership position as Scotland’s contemporary music ensemble, performing and developing an extensive, highly-varied and critically-acclaimed programme of new music to the highest standards, and taking new music out to audiences across Scotland and internationally. Red Note performs the established classics of contemporary music, commissions new music, develops the work of new and emerging composers and performers from Scotland and around the world, and finds new spaces and new ways of performing contemporary music to attract new audiences. 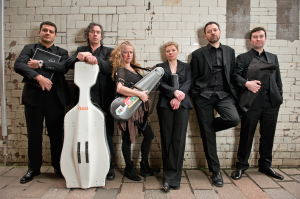 Within Scotland the ensemble has performed from the Outer Hebrides to the Borders in concert halls, bothies, pubs, clubs and aircraft hangars, amongst other unusual settings. Outwith the UK it has a growing international reputation, performing to great acclaim at festivals in France, Germany, Belgium, Holland and Australia in recent years. The ensemble also undertakes an extensive programme of Access, Engagement and Participation (AEP) work, focusing particularly upon working with younger and older people, people with multiple disabilities, people living in areas of multiple deprivation, and also working to address inequalities of access and representation due to race/ethnicity and gender imbalances. We also undertake an extensive performer and composer development programme within schools, universities and conservatoires nationally and internationally. Red Note’s work in 2018 included tours of Maja S.K. Ratkje and Kathy Hinde’s Aeolian and James Dillon’s Tanz/haus: triptych 2017 in Scotland (Sound Festival - Aberdeen) and Europe (Sacrum Profanum Festival in Krakow, Transit Festival in Leuven and November Music in ‘s-Hertogenbosch), performing at the St Magnus Intenational Festival with a new production of Vesalii Icones, a new co-commission for Oscar Strasnoy with Ensemble Modern, new works from Scottish-based female composers (Lisa Robertson, Aileen Sweeney, Electra Perivolaris, Lucy Hollingworth, and Sarah Rimkus) for Sound Festival, and performances with clarinettist and composer Mark Simpson and the Red Note Advanced Academy at the Lammermuir Festival. Amongst our regular creative learning projects including New Music Makers, 2018 also saw Red Note work with Brian Irvine to create the Oakwood Songbook, a new creative project with all of the pupils at Oakwood Primary School in Easterhouse. Red Note is Associate Contemporary Ensemble at the Royal Conservatoire of Scotland in Glasgow and Associate Ensemble of the sound festival Aberdeen. Red Note is a Delphian Records recording artist, recently releasing CDs of music by Eddie McGuire, John McLeod and David Wilde to great acclaim, and a 4th CD – of music by Lyell Cresswell – released in 2018. Red Note has also recently become a PRS Foundation Talent Development Partner. Introducing Red Note Ensemble from Red Note Ensemble on Vimeo. Enterprise Music Scotland (EMS) is the National body for chamber music: leading, developing and connecting the chamber music sector in Scotland. 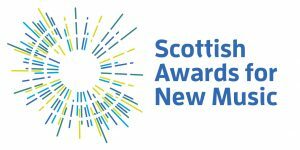 They are committed to supporting new music and championing Scottish/Scottish based composers, with an annual remit involving a range of activities that engages with both. EMS has commissioned over ten new works through its Residency Project which began in 2006. In 2018 Emily Doolittle and Shiori Usui were commissioned to compose for current EMS Residency Project Artists the Kapten Trio. Both pieces will be premiered at Sound Festival 2019 before touring to Haddington, Dunblane, Glasgow and Kirkcaldy. 2018 saw the premier of the The Flood, a co-commission between EMS and Music in Peebles written for string quartet, harp, vocals and featuring film. Composed by Esther Swift with film by Tom Swift, the piece connected with the local community of Peebles by exploring the impact of the devastating flooding there in 2015/16. Following the premier, The Flood further engaged with the community through performances in the local Nursing Home and a composition project at Peebles High School. EMS has launched a New Promoter Fund helping to assist new and recently established promoter organisations to embrace innovation and experimentation. In 2018, this new funding stream supported 3 concert series showcasing new music and new commissions - Ig:nite, Glasgow Experimental Music Series and the Townhouse Recital Series in Irvine. The organisation also offers residencies to composers and artists, providing them with creative space to work on their practice and explore new ideas. October 2018 saw a four day long Creative Exchange at Hospitalfield House involving composers Emily Doolittle, Shiori Usui, Emily Tse and Gillian Fleetwood. As well as commissioning new works, new music is interwoven within EMS projects and the EMS Learning programme. National Chamber Music Day 2018 included a new piece for violin duo by Matilda Brown which was developed into workshop material for primary schools on Arran. Drawlight Ensemble also featured in National Chamber Music Day 2018, leading a workshop for young people living in the Borders on composition devised from improvisation. Train and Sustain 2018 focused on composition in the classroom. Chamber music ensembles and composers attended a training day with Keith Murphy (Penicuik High), Dr Oliver Searle (NMS/RCS) and Rebecca Oliva (Scottish Poetry Library) before devising their own learning project based on composition inspired by Scottish poetry. This was delivered to three different groups of Nat 5/Higher music pupils in Midlothian schools over four sessions. In 2018, a repeat of the EMS Coorie Doon project, in partnership with Children’s Hospices Association Scotland, saw families at Rachel House Hospice working with a team of musicians and lyricist to write a song for their child. EMS also offers opportunities for its stakeholders to the discuss the role of new music within the chamber music sector. Their Tours Conference 2018 event for Promoters featured a showcase of the recent co - commission with Music in Peebles to encourage further commissioning within the network. EMS continue to engage with other organisations supporting developments in new music such as Drake Music Scotland who presented “New Music, New Instruments” at the EMS conference Music Education Matters 2018. The Flood - Excerpts from Enterprise Music Scotland on Vimeo. 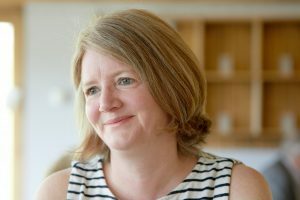 Fiona Robertson is Director of sound, a new music organisation based in Aberdeen and Aberdeenshire, which supports composers, organises outreach and community work and runs the soundfestival, Scotland’s festival of new music. Brought up in Aberdeenshire where she was a keen young musician, playing viola in youth orchestras, Fiona went on to study politics and economics at Manchester University, followed by a postgraduate qualification in Arts Administration at Dauphine University in Paris. After many years living and working in France, she returned to Scotland, and was approached by Professor Pete Stollery from the University of Aberdeen and Mark Hope, Chair of Woodend Barn, about setting up sound. She has spent the past 14 years working alongside an enthusiastic staff team and supportive local network to increase the reach of new music to as many people as possible in North East Scotland and beyond. During this time she has been involved in the commissioning of over 120 new works from a range of composers, and supporting many others. Fiona was also instrumental in setting up New Music Scotland, an organisation bringing together promoters, composer and performers in Scotland. Fiona Robertson runs sound, a new music incubator based in North East Scotland, where she works tirelessly with the team at sound to nurture composers (including young composers), increase access to new music both for the local population (in an area where otherwise there would be few possibilities to discover new music), and encourage innovation through new music commissioning and production. In 2018, she initiated and led a policy of programming and commissioning more women composers. This led to 57% of contemporary composers work performed at soundfestival being women composers, and 72% of all commissions commissioned from women. Initiatives to nurture female composers included a development weekend for five female Scottish composers whose new works where the performed at soundfestival by Red Note. The “endangered instruments” series that she initiated, focussed on the viola in 2018, with 11 new commissions featuring or involving the viola, and many other performances of music including the viola. During 2018 she also led the sound team to expand their work for young people in the North East with the launch of the monthly Get Composing project for 12-18 year old composers, as well as a music creativity project in Aberdeen’s regeneration areas. She worked closely with other festivals (Techfest, Mayfest and Braemar’s One Day) to include new music performances, as well as organising other participative events throughout the year, encouraging people from the North East to get involved in making new music. These included in 2018, the launch of a new music ensemble in Aberdeen, which now meets monthly and performed at the 2018 soundfestival. Collaboration is at the heart of Fiona’s working practise and she works closely with a number of partner arts and non-arts organisations in Aberdeen and Aberdeenshire to put new music on the map locally, as well as with national organisations to give more prominence to new music nationally and to promote new music from Scotland in other countries. sound festival 2018 highlights from Sound Festival on Vimeo.